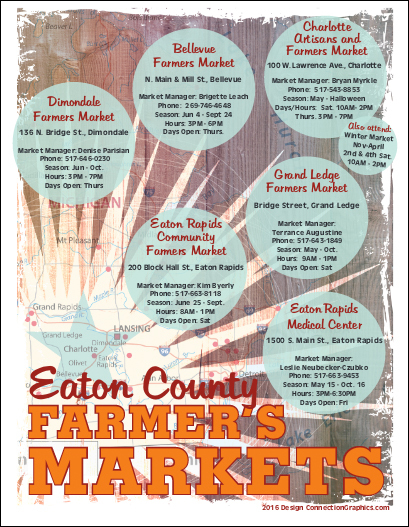 Want to know when the Farmer’s Markets are in Eaton county? See attached flyer with days and times for Farmer’s Markets near you. You will learn how to reach current and prospective customers and also how to reach out to current customers and local groups online. Also learn tips to tap into future sales after the market season wraps up with internet marketing and sales. Attendees will receive an instructional hand-out to implement steps and resources easily at home. Tech savvy attendees are encouraged to bring tablets or laptops to follow along with the presentation.